Yes, I know a lot of you bemoan the fact that Google Play requires a credit card to sign up for, but it does give FCM some good exposure. Most folks with Android devices will inevitably sign up for Play for buying something. 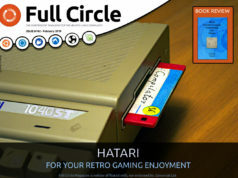 An app, a book, something! Even when it’s free Play still calls it a purchase. When looking at the above figures, remember that some issues have been up longer than others. 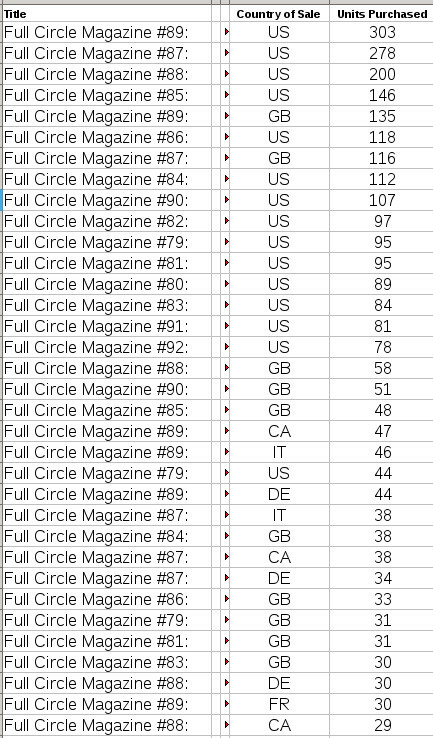 So, having #91 or #92 low on the list isn’t surprising since the other issues have been available for longer. Sorted by issue then country. 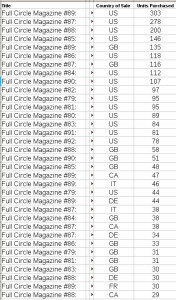 This one shows which country has the most downloads for each issue. The US then UK hold the top spots (respectively) while the rest are up for grabs. And remember: those figures are only for Google Play. Google Play and Issuu are two really good ways of getting extra downloads/views outside of the main site. 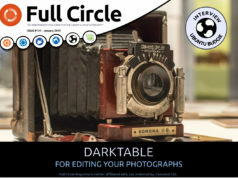 Previous articleThe first Full Circle of 2015, FCM#93, is here! Next articleInkscape Version 0.91 is Released! In Germany you don’t need a credit card – just buy a Google play card at the supermarket and put in the code at the site to buy something. I don’t think I used a credit card to sign up for Google Play here in Canada. Also Walmart department stores here carry Google Play cards (the same way they carry iTunes cards) so people don’t need a credit card to purchase Play Store apps.